As a warrior, your life oftentimes depends on your ability to move. Remove that, and any warrior will fall in short order. The same is very much true of elves, although stopping them is much harder, thanks to greater grace and these Green Elven Greaves. 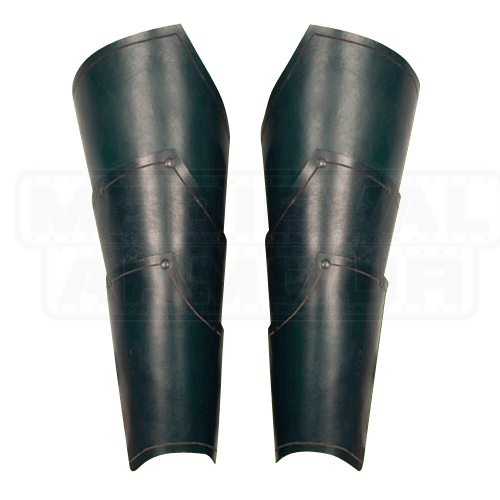 These greaves are crafted from fine, heavy leather and are designed to wrap around your lower legs, offering greater protection to your limbs without restricting your movement or weighing you down. In essence they provide a bit of added defense, while also ensuring that you stay as mobile as you require, keeping you one quick step ahead of your foes. The greaves are layered plates of leather that curl around the leg and build up from ankle to calf, while their coloration, a deep, dark green, ensures that in the wild forests, these greaves might just double over as a bit of clever camouflage. Plus, their design and color brings them closer to classic elven style. They are worn with adjustable straps and buckles. 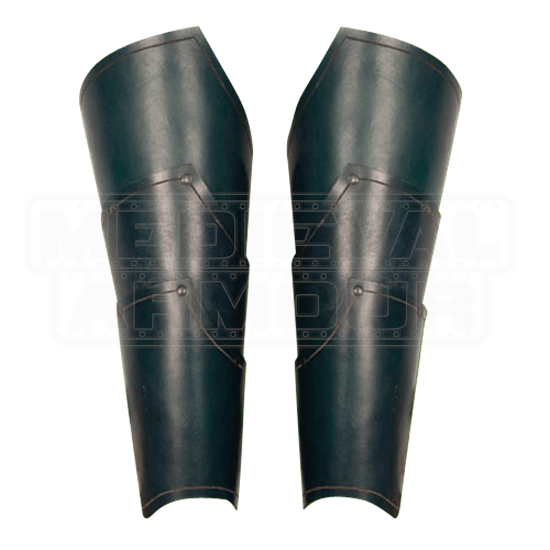 It goes without saying that these Green Elven Greaves go great with our Green Elven Battle Armour (item number 300439), but they also serve well separately, adding to your protection and to your look, whether you are attending a festival or walking onto a LARP field of battle.